At Feedr we believe in reinventing the workplace. For us, that means delivering beautifully balanced food to your office, but there are many other ways to help productivity and happiness at work. We are continuing our series to help inspire cool workspaces with our friends at HeadBox. For more about HeadBox, keep reading as they take over our blog to introduce you to the top five unique meeting rooms in London! Say goodbye to boring meetings with these brilliant unique meeting rooms in London! When it comes to finding a meeting room in London, it can be difficult to know where to start. Taking your meeting out of the office can have a multitude of benefits for creativity and productivity. A fresh setting can inspire curiosity and lead to more creative idea generation and increased efficiency. We believe that when great people come together, a fantastic space can act as a catalyst to make brilliant things happen. We want to do away with bland boardrooms and mediocre meeting rooms and when it comes to finding unique meeting spaces, London is the perfect place to start. That’s why we’ve gathered some of London’s best unique meeting rooms to get you and the team inspired. HeadBox have recently partnered with Feedr to combine brilliant venues with delicious catering options to allow you to focus on the more important stuff. First up is Lumiere London, one of the city’s best kept secrets. Tucked away on an unassuming street in Southwark, this gorgeous unique meeting room is completely unexpected. If you’re in need of a spot for a large team to come together, then The Gallery at Lumiere London is ideal. Owned and designed by fashion photographer turned interior designer Carlos Lumiere, the studio is home to four fantastic Spaces, all utterly unique in decor and perfectly cohesive in aesthetic. This stunning Southwark meeting room can seat up to 45 boardroom-style and has all the tech you’ll need for a flawless meeting, with excellent transport links to London Bridge and Waterloo. You can’t really get much cooler than our second choice, The Bridge. Moored at Victoria Embankment with vistas of the London Eye, this floating meeting room is on board Tattershall Castle, a river-pub come comedy club that has played host to some of the UK’s biggest comedy stars. Despite its buoyant status, this unique meeting space comes equipped with HD screens and projectors so you can be sure your tech requirements are met. And after the meeting’s over? Why not treat the team for their hard work with a pint on deck? For a quirky meeting space like no other, try the APPartment. This modern Space is kitted out with the world’s most exciting and state of the art technology, with all settings controlled via an app. From a games room to a screening room, this custom designed apartment provides a hands-on experience to any guest. And what better way to inspire creativity than surrounding yourself with the tech of the future? This 4000sqft space, was designed and curated by a team of top architects and interior designers and is completely iPad controlled, down to the coffee machine! MeWe360 makes for a fantastic quirky meeting room in London. Set within a Georgian townhouse overlooking the iconic Soho Square Gardens, this unique spot combines traditional ambience with a modern twist, brimming with natural daylight and minimalist decor. So say goodbye to mundane meetings are take your next off-site to MeWe360! With breakout Spaces, and all the tech you’ll need, your meeting will be smooth sailing. If a blank canvas, free from distraction is what you’re looking for then Cupertino meeting room at Huckletree Shoreditch is definitely the space for you. This unique meeting room is the perfect contemporary backdrop to a business meeting or creative brainstorm. And if you need a breather? Why not venture to one of the cozy lounges or libraries for a breakout space? So there you have it, our ‘Top 5 Unique Meeting Rooms in London’ handpicked by HeadBox. HeadBox is the UK’s first online marketplace where you can search, book and pay for unique off-site, meeting and event spaces online. 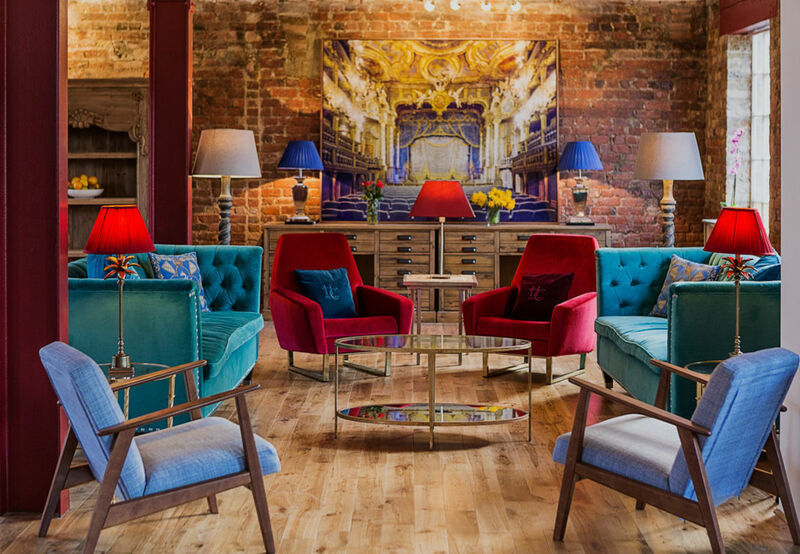 If you’d like to explore more quirky meeting rooms for hire in London, take a look at our London Meeting Room collection, or please get in touch on [email protected] Our team can help turn your brief into a venue!